Tovar has helpfully outlined a list of my symptoms and come to a diagnosis. You can read the whole post here. 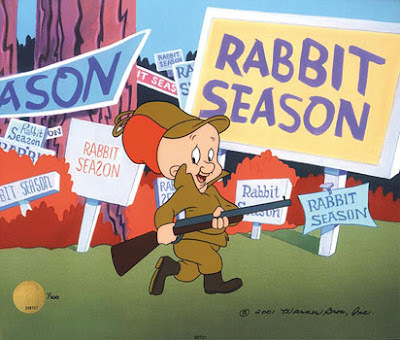 When fully developed, the primary symptoms of Adult Onset Hunting are unmistakable: an otherwise normal, heretofore-non-hunting adult repeatedly goes to woods, fields, or marshes with a deadly implement in hand, intent on killing a wild animal. Other potential symptoms include (1) a feeling of connection to nature, to one’s food, and to one’s hunter-gatherer ancestors, and (2) a re-calibration of one’s beliefs about hunting. Previous beliefs may suffer from atrophy, seizures, and even death, especially when an anti-hunter contracts AOH. Excessive reading about the production of industrial food, especially factory meat. Esophageal spasms upon learning that the average pound of supermarket ground chuck contains meat from several dozen animals slaughtered in five different states. Sudden bouts of wondering why the local food co-op—with its cooler full of local, organic, free-range meats—doesn’t sell hunting licenses. Compulsive eating of “real food” purchased directly from farmers. Recurrent realizations that farmers are killing deer and woodchucks to keep organic greens on your plate. Impaired ability to find meaning in chicken nuggets or tofu dogs. An uncharacteristic compulsion to initiate dinner conversation about firearms. Impaired ability to see humans as separate from the rest of nature. 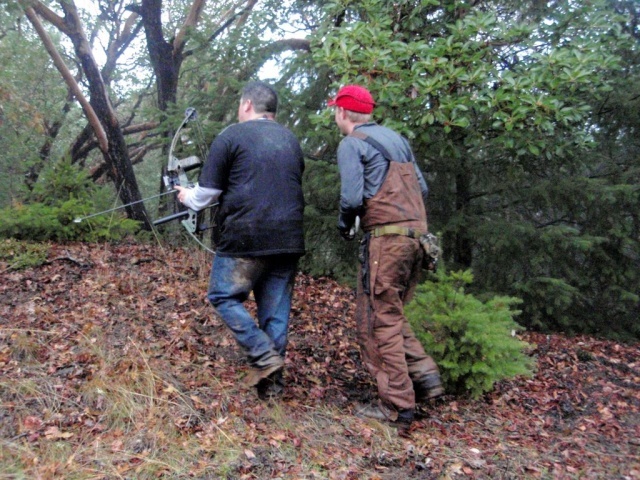 Repeated contact with real, live hunters (experts suspect that AOH is highly contagious, though transmission mechanisms are not yet fully understood). The Deer Take US By Surprise! BB - "think of it as armed rambling" we had worked our way around our half of the wood and met up with the others - they'd seen a highly shootable buck, but it had given them the slip. We split up again and with the chaps walking up into the part of the woods we'd just left. Then We Were Bushwhacked! A flicker of movement ahead and to the right revealed our quarry, munching on a nut at the base of an Oak. I twisted so my body would obscure my hand signal to TNM. The squirrel froze, and did a very good job of disappearing into the leaf litter. I shouldered the air rifle and realized just in time that the scope was set on too higher level of magnification. Finding a grey camouflaged thing against a backdrop of leaf and shadow wasn’t that easy. The cross hairs danced over his shoulder and as I should have been at my stillest my squeeze of the trigger must have pulled the muzzle to the right. The squirrel jumped four of five feet to the left; I worked the bolt back and forward and sent a perfectly aimed puff of air towards him. Sadly the puff of air wasn’t pushing a pellet. It appears I'm not the only one exhibiting symptoms. Our last armed hike at the Geysers almost lead to some kills, but the kills would have been due to hypothermia and would have been us, not pigs. It was on that windy rainy near-death experience that we realized how tricky these animals are. We found a fresh pig hoof-print that day. In the middle of a huge muddy puddle. There were no other prints nearby. None. How is that even possible?! The pigs were taunting us. We decided we needed to step up our game. If the pigs are going to use ninjitsu on us – flying around magically and leaping huge distances – we need to study their craft and train to be ninjas ourselves. Bingels and I aren’t exactly ninja material, but we have an ex-Marine on our team who was gifted a compound bow from his dad. Plus he has a boat! Everyone knows that ninjas use bows and travel by boat. Oh it was on. Warren is elected to take the shot, for which the rest of us should all be thankful for. As we pull up, Mr. X hands Warren his favorite 30-06 and points to the porker - 200 yards out in the field. Video cameras are deployed for posterity and there stands sleep-deprived Warren, with a bloodthirsty audience breathing down his neck, an unfamiliar rifle, two cups of coffee coursing through his veins and the prospect of the furthest shot he's ever attempted. It doesn't go well. There is a problem with the gun. Warren can't figure out how to chamber a round into the chute. He looks back at the crowd for guidance, gets it, and pushes the receiver button. "SCHWANNNNG" The pig looks up for the first time, sees his would-be executioners and decides life might be better somewhere over in Nassau County. I have never seen a pig run so fast. It is the only pig we see all morning.